Looking for the perfect Father’s Day Gift? The Office Ink Blog has you covered with our 2014 Father’s Day Gift Guide. 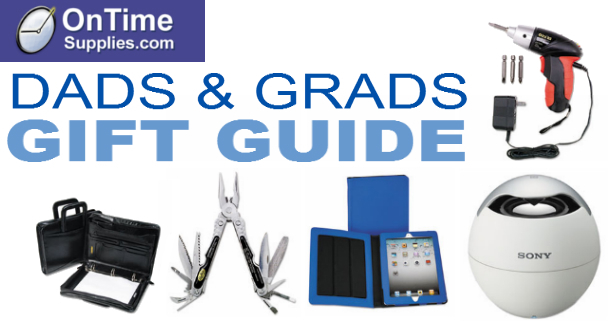 And bonus: each of these tool, tech and accessory gifts for dad make great graduation gifts too. This multipurpose tool from Sheffield will satisfy dad’s inner MacGyver. 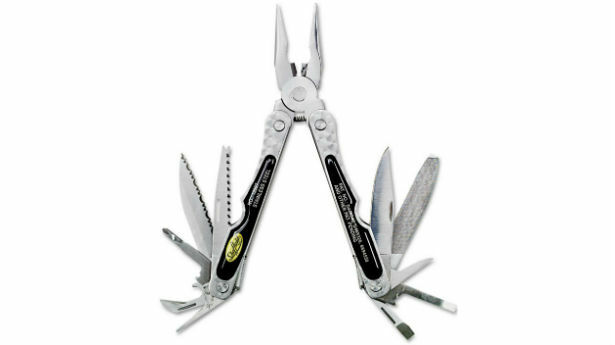 It includes eighteen different knives, screwdrivers, wire cutters and other tools to complete a variety of small jobs. Dad even gets a bottle opener he can use to crack open a cold one after completing a manly task. Power tools are the classic Father’s Day gift for good reason. They help dad feel useful, and make a pleasing whirring and roaring sounds. 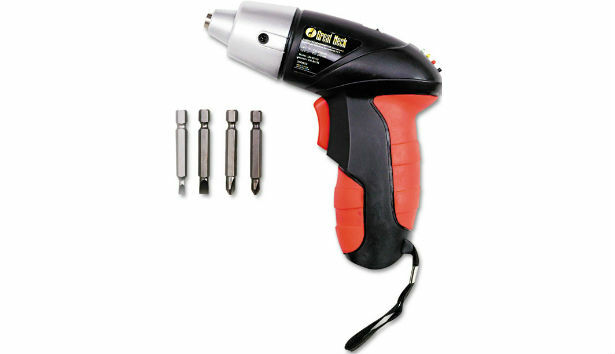 So yeah, the Great Neck® Cordless Screwdriver is a great gift for dad. It’s also a great gift for grads entering the grownup world, where loose hinges don’t fix themselves. Home shredders protect privacy and reduce clutter. 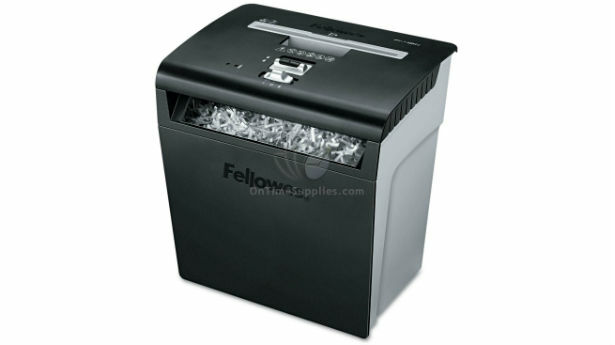 The Fellowes® Powershred P-48C Deskside Cross-Cut Shredder is a great one. It’s small enough to fit comfortably by a desk, and has blades powerful enough to destroy paper, credit cards, staples and paper clips. Plus, it has a safety lock, so no emergency room horror show if the kids happen to get near it. The Kensington® Virtuoso™ is the 21st century upgrade to the classic gift of the fancy pen. Twist the barrel and this silver ballpoint becoms a ultra-responsive stylus for tablets. Plus, when the ink runs dry you can just pop in a Parker® Refill for Ballpoint Pens, so it provides years of use. The Samsill® iPad Holder offers everything you need in a tablet cover: magnetic closure to prolong battery life, adjustable stand for comfortable view, and easy access to ports. Plus, it’s available in five colors — from cute purple to classic black — so it does double duty as a great gift for dads or grads. This Leather Portfolio by Bond Street, Ltd. is super versatile, and super sharp. 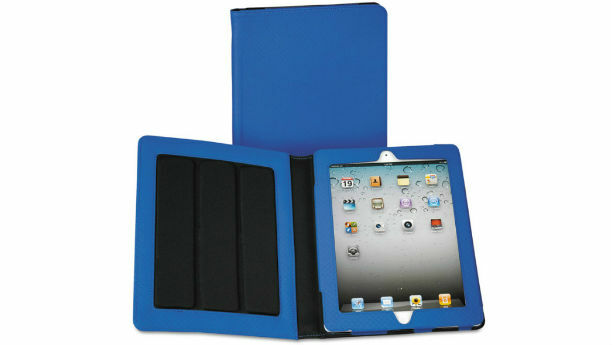 It features removable binder rings, numerous storage pockets and card holders, plus genuine leather construction. 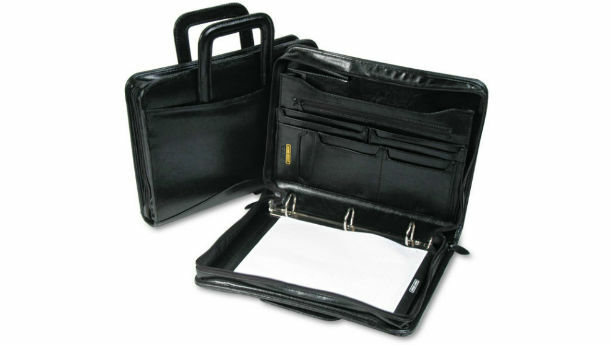 Perfect for transporting resumes and other business documents. This is like the platonic ideal of a laptop bag. 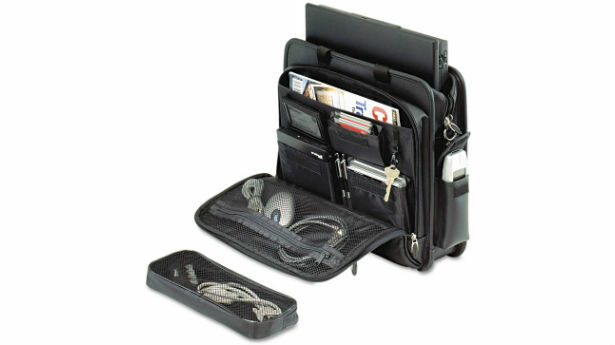 The Targus® Leather Laptop Case offers plenty of space for a lot more than a laptop: pockets galore for peripherals, files and paperwork, card holders for IDs, credit cards and business cards. An ideal gift for anyone on your list. Looking to splurge on your dad or grad? You can’t beat a comfy office chair. 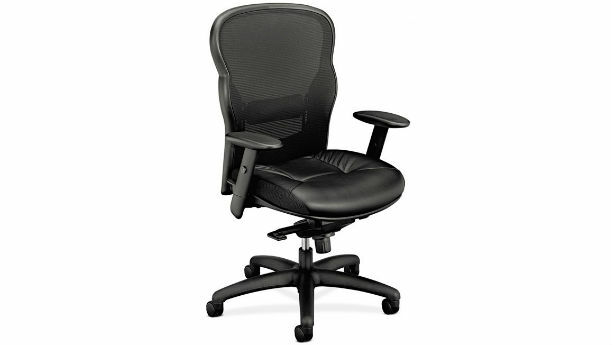 With leather accents, plenty of adjustable ergonomic features, and durable construction, the basyx® VL701 Mesh High-Back Work Chair your recipient will be thanking you for years for a stylish, useful gift.